A virtue of being one of our longest running mountain bike models is the added benefit of evolution. The longer it's been in the line-up, the more scrutiny it's subjected to. 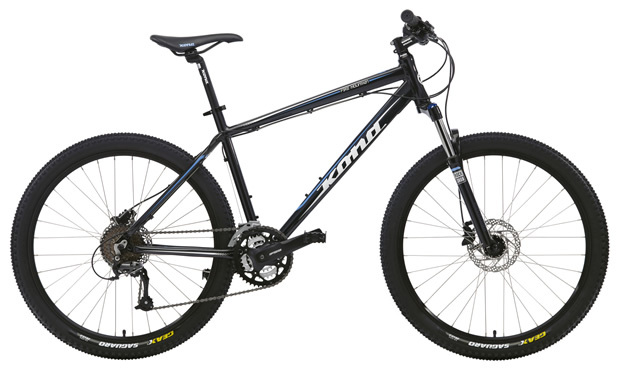 The result is a recreationally-oriented, entry-level 26-inch wheel mountain bike that gives you as much bang for the buck as we could possibly muster. With a feature-loaded Kona 6061 Aluminum frame that comes with a lifetime warranty, and selection of quality components, we're quite sure many mountains will feel your fire. Sizes "14", 16", 18", 20", 22"